Hello! I'm Nat. Mummy, wife and owner of My Bodyworks. I work with strengthening exercises, but I’m not a physio. Nat came to the world of manual and movement therapy after a previous life, touring the world as a Company Stage Manager with the UK’s finest dance companies. 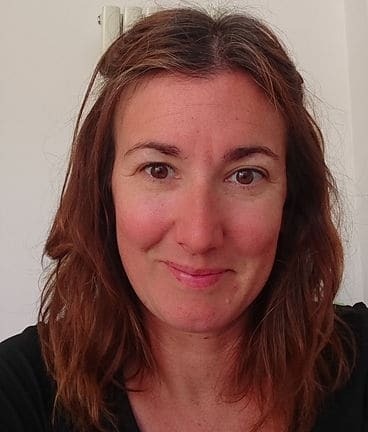 Whilst training as a Sports & Remedial Massage Therapist at London’s NLSSM, Nat developed a passion for working with post natal clients and went on to train in Pre and Post Natal Massage with Jenny Burrell of Burrell Education. It was Jenny that introduced Nat to the amazing world of David Weinstock’s Neurokinetic Therapy (NKT) and this led Nat down the rabbit hole into the wonderful world of the nervous system, from which she has never returned. As a Level 3 Master Practitioner of NKT, Nat works with clients to find the root cause of their problems, the precursors to the array of compensation patterns that their bodies have laid down in order to keep going. Instead of working with the site of pain, Nat looks to the culprit that caused the pain in the first place. Nat often finds common symptoms of pain such as lower back, neck and limbs linked to dysfucntions in old scars, new scars, whiplash injuries, weakened core, concussions, dental work. Nat is passionate about working with women and empowering them to help their bodies back to optimal function and movement. Empowerment and education are key to the ethos at My Bodyworks where Nat facilitates her clients to take their own journey to move beyond pain, reconnect to their core movement patterns and forge new daily habits to live their lives fully . My passion is Women’s Wellness and my mission is to help, support, work with, educate and empower women back to a life that is full of energy, happiness and free from pain, using neuromuscular physical therapies, as quickly and simply as I can.